KB Home managed to stem its losses in the fourth quarter versus a year ago, but the homebuilder saw sales plummet by 56 percent and said Friday it expects home prices to fall further this year and there are tougher times ahead for the industry. "Housing market and general economic conditions in 2009 are expected to remain difficult or possibly worsen as the timing of any meaningful recovery for the homebuilding industry remains uncertain," Chief Executive Jeffrey Mezger warned. Still, management voiced confidence its recent rollout of smaller, more affordably priced homes would help the builder weather the housing and economic doldrums and improve its financial footing in 2009. "We expect that we will be cash-flow positive for the year," Mezger said during a conference call with Wall Street analysts. The Los Angeles-based company said losses shrank to $307.3 million, or $3.96 a share, in the three months ended Nov. 30, down from a loss of $772.7 million, or $9.99 a share, in the year-ago period. The latest-quarter results included pretax charges of $266 million. Excluding write downs of land values, the builder achieved positive operating income for the first time in five quarters, Mezger noted. Sales totaled $919 million, down from $2.07 billion in the 2007 fourth quarter. The average sale price of its homes slipped 6 percent to $232,200 in the fourth quarter. Homes delivered totaled 3,912 in the quarter, well less than half the 8,132 delivered a year earlier as foreclosures mounted and mortgage lending dried up. Analysts polled by Thomson Reuters expected KB to post a loss of $1.23 per share on revenue of $792.8 million. The company's general and administrative expenses dropped by almost half to $121.1 million as KB Home exited some markets, consolidated divisions and cut jobs. Investors responded by sending KB Home's shares up 6 cents to $14.63 in afternoon trading. For the full fiscal year, KB Home delivered 12,438 homes at an average price of $236,400, down from 23,743 homes delivered at an average of about $261,600 in fiscal 2007. KB has struggled through a housing slump deepened by the U.S. recession, the credit crunch and still-high levels of unsold homes and foreclosures. Now, rising unemployment threatens to further prolong the housing malaise by dampening housing demand and potentially resulting in more foreclosures. 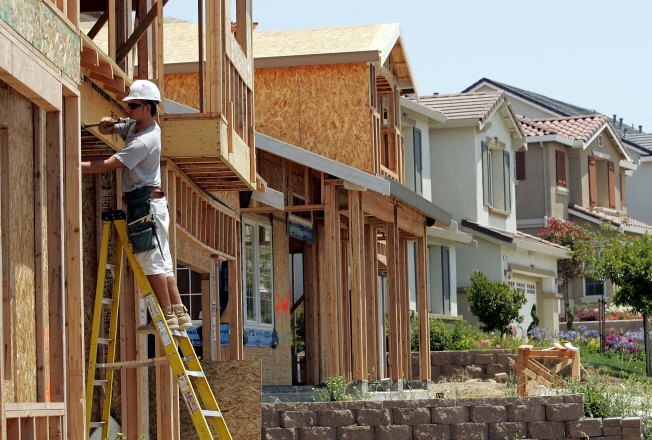 Homebuilders have been urging Congress to pass a federal stimulus package in hopes of jump-starting the housing market. On Friday, Mezger said that, though he would "welcome" such an aid package, he's not relying on it. "We are not counting on a federal housing stimulus, or passively waiting for better times," Mezger said.